Abdelaziz Bouteflika is Algeria's longest-serving president and a veteran of the independence struggle who has held on to power for some 20 years despite ill health. His presidency survived the Arab Spring uprisings that toppled other leaders in the region. But on Tuesday, after weeks of demonstrations against his rule, the country's army chief Ahmed Gaid Salah sided with the protesters, and called for the 82-year-old leader to be declared unfit to rule under the constitution. It was Bouteflika's bid for a fifth term in office earlier this year that sparked public anger and brought hundreds of thousands out onto the streets across the country demanding he step down. Dubbed Boutef by Algerians, he had helped foster peace after a decade-long civil war in the North African country in the 1990s which killed nearly 200,000 people. "I am the whole of Algeria. I am the embodiment of the Algerian people," he said in 1999, the year he became president. But in recent years, Bouteflika has had a history of medical problems. A stroke in 2013 affected his mobility and speech, and he has used a wheelchair ever since. He is rarely seen or heard in public. He has also faced criticism from rights groups and opponents who accuse him of being authoritarian. 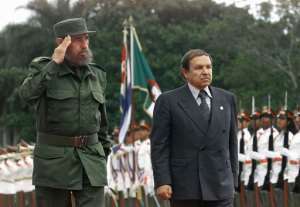 When Bouteflika came to power with the support of an army battling Islamist guerrillas, nobody expected him to stay in office for so long. After his election he addressed critics who saw him as another puppet of the military, saying: "I'm not three-quarters of a president." Paradoxically, it was only after his stroke that Bouteflika was able to consolidate power in a country where the shadowy intelligence service has long been viewed as a "state within a state". 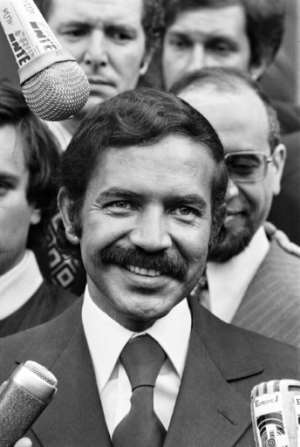 Bouteflika was born in Morocco on March 2, 1937 to a family from western Algeria. At the age of 19 he joined the National Liberation Front (FLN) in its struggle against the French colonial rulers. When independence came in 1962, he was appointed minister of sport and tourism at the age of just 25, under Algeria's first president, Ahmed Ben Bella. He became foreign minister the following year, a post he held for more than a decade, but was sidelined after the death of president Houari Boumediene in 1978 and went into self-imposed exile. While he was abroad the military-backed government cancelled the 1991 elections, which an Islamist party had been poised to win, sparking a decade of bloodletting. 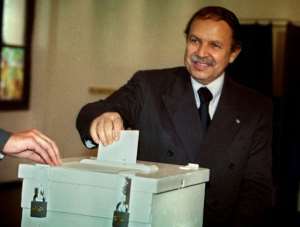 Bouteflika returned from Switzerland in 1999 to stand for president with the backing of the army which saw in him a potential figure of reconciliation. He initially faced six rivals, but when the opponents dropped out, crying foul, he found himself the only candidate. He proposed an amnesty for rebels who laid down their arms and twice secured public endorsement for "national reconciliation" through referendums. The first, in September 1999, was a major gamble but paid off, leading to a sharp decrease in violence that helped propel Bouteflika to a second term in 2004. His third term in 2009 followed a constitutional amendment allowing him to stand again. His supporters argue that under his stewardship public and private investment created millions of jobs and dramatically lowered unemployment. But a lack of opportunity continues to drive many Algerians abroad as youth unemployment remains high. When the Arab Spring erupted in January 2011, Bouteflika rode out the storm by lifting a 19-year state of emergency and using oil revenues to grant pay rises. For political commentator Rashid Tlemcani, Bouteflika "should have left office at the end of his second term, after securing national reconciliation and conquering the hearts of a large part of the population". 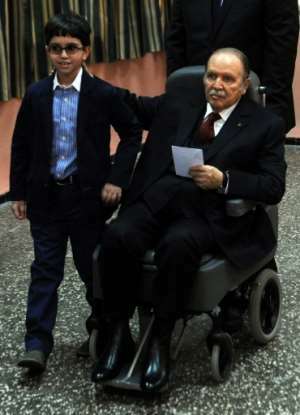 In April 2013, Bouteflika was rushed to hospital in France after his stroke, and spent three months recovering. He had already been hospitalised in Paris in 2005 because of intestinal problems from which he never fully recovered. 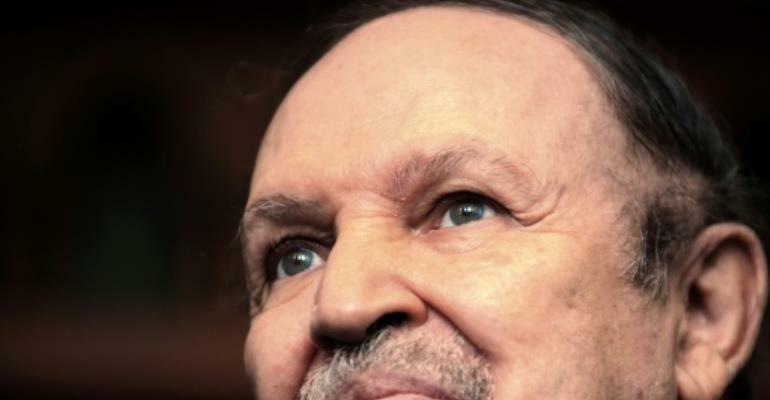 Bouteflika's decision to seek a fourth mandate in 2014 after 15 years in power sparked both derision and criticism from those who questioned his ability to rule. He did not even campaign and voted from a wheelchair, but still won an official 81 percent of the vote. But it was Bouteflika's bid for a fifth term in elections, which had been due to be held in April, that proved the last straw for many Algerians. His candidacy was formally submitted on March 3 while he was in Switzerland for what the presidency described as another round of routine medical tests. On March 10, he returned home, and the next day pulled out of the race, and cancelled the elections. Initial elation from demonstrators, turned to anger when he confirmed he would stay on in power beyond the term of his mandate.